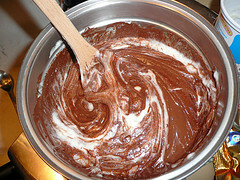 A new dessert I made a few days ago from the “Sassy Sampler” blog called “The Three Amigos”. I changed it up just a bit as I really like the flavor of dark chocolate but other then that I followed the recipe step by step. 2. 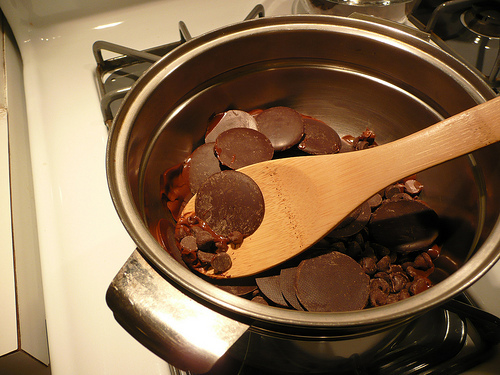 Put half of the chocolate chips in a double-boiler with simmering water and melt (you can use a heat-proof bowl on top of a small saucepan if you don’t have a double-boiler). You can also place the chips in a microwave safe bowl and melt them in 45 second bursts (stir in between). 7. Repeat with remaining bars. 8. 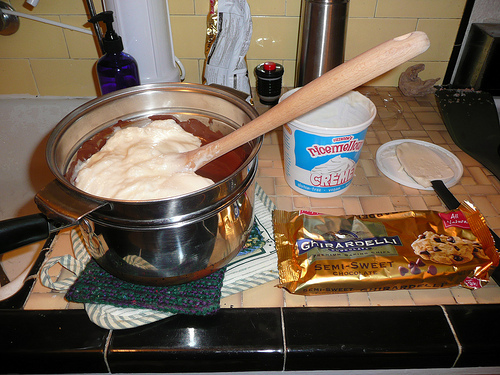 Place the bars in the refrigerator for about 10 minutes to set the chocolate. Once set, the bars can be served immediately. ← Lets to to the Circus! Oh yum! Where did you buy that ricemellow cream? I’m so excited you made these! 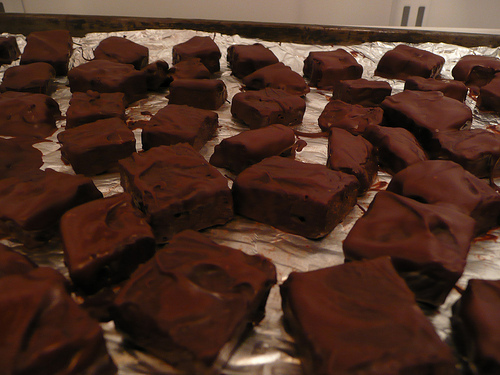 I made them at home again and used darker chocolate myself – soooo good. I actually modified this once again. 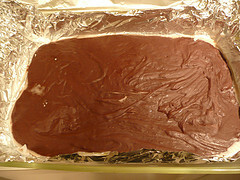 I now just make the “filling” then after it has chilled for a couple of hours I put the second layer of chocolate on top. I then let it chill a bit longer then cut into bite size pieces. easier then dipping.